The entrance to Lotus Lounge in Yarm is through a Burlington Arcade-esque designer shop alley (with a red carpet which completely justified the wearing of my vintage fur coat!). The clientele appears to be a mixture of local young drinkers at the bar and groups of friends and families out celebrating the festive season. The bar area serves colourful cocktails while we wait for our table. Our table for six. For the two of us. Yes, I do eat a lot... Having booked ahead with OpenTable and tweeted to say how much I was looking forward to it, I half expected some paparazzi and some special treatment from the manager, but I think they were a bit busy. Lovely staff, but busy. Lotus Lounge is billed as Pan-Asian, which I think was a good description. The starters ranged from Chinese Dim Sum, Malaysian satay and Japanese tempura to a selection of Bento boxes which offered a mixture of all sorts. The mains also featured a selection of dishes, each for a different cuisine. You can choose a Japanese Teriyaki Don, a sweet and sour chicken curry, or a beef madras. It's as if the place can't make up it's mind what to be, and tries to please everyone. We chose the Bento Box from the Land to start. 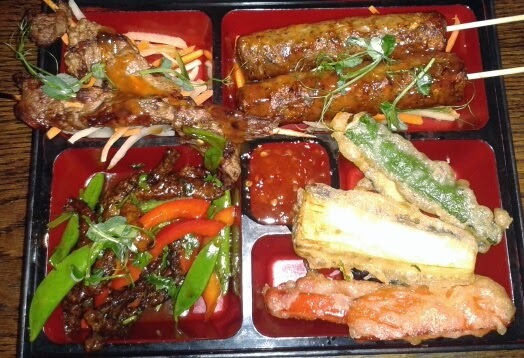 This was a mix of meaty starters, again panning the Asian continent; Nice vegetable tempura, flavoursome Chinese beef in char sui sauce, though the pork skewers were a bit dubious. I thought there was no need for the lamb shish kebab - it felt out of place. Presented in, yes, a Bento box. With sweet chilli dipping sauce. Which doesn't really go with any of them. 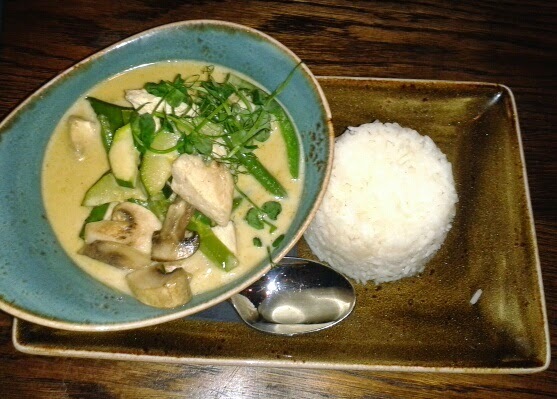 Himself ordered the Thai chicken curry, which, as one of our favourite dishes, was a real measure of the food quality. It tasted like something I could have knocked up with a jar of curry paste and a tin of coconut milk and was a bit thicker than it should be. The vegetables were not the usual kind you would find in a Thai curry - mushrooms and courgettes. For me, it was Indonesian. I chose the Pork Nasi Goreng. Now this was good. 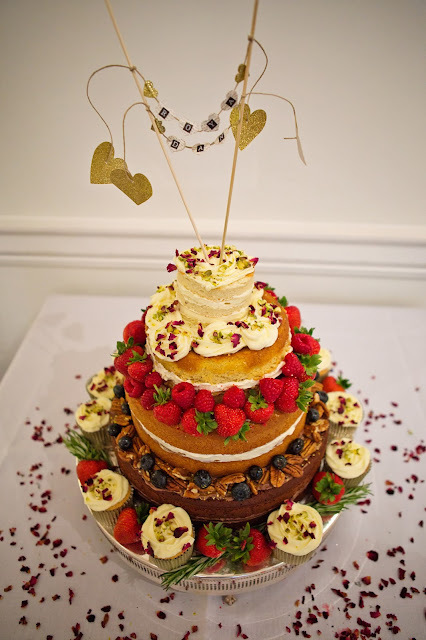 When the waitress brought it, she said all the staff were jealous! 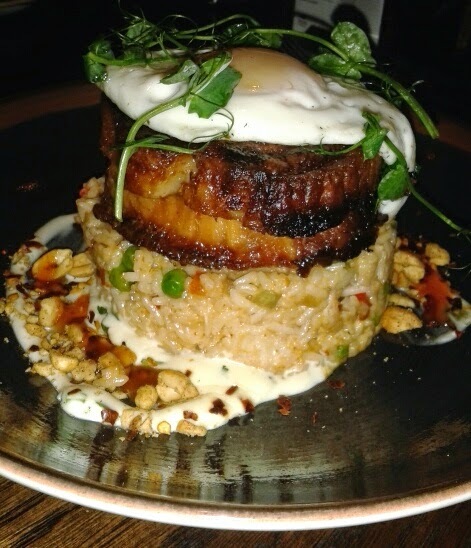 It was a layer of prawn and vegetable fried rice, with two layers of belly pork and a fried egg on top, served with a mint creme fraiche and garnished with peanuts and fresh coriander. A real fusion of flavours and cooked well. Towards the end my green curry envy took over and I stole some of himself's curry sauce which made it even better. Overall we had an enjoyable evening. Although the service was slow, the staff were friendly, but I did spy someone who looked like the manager just watching the others when he could have mucked in. My trip to the loo, turned out to be the kitchens, so I got a quick glance in there, and it seemed to be in order. The loos themselves, when I did find them, were absolutely freezing and the doors didn't lock. So it was -1 outside, but still. We left satisfied, leaving the young Yarmites to their late night cocktails. Meal for two, with beer ~£55-60.